Per the contractual obligations with Advanced Disposal, they have exclusive rights to provide dumpsters in Wilmette. 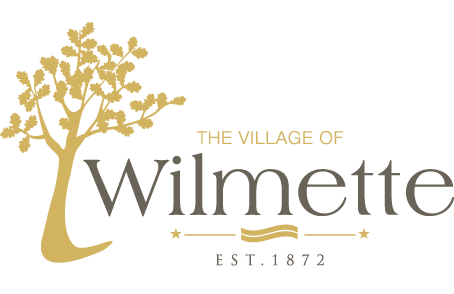 A permit must be obtained from the Department of Engineering prior to placing a dumpster in the Village of Wilmette. A dumpster permit is valid for 6 months from the issue date. Dumpsters should be placed on private property. A dumpster can be placed on public property only when first approved by the Engineering Department and if there is not enough area for a dumpster to be placed on private property. Dumpsters placed on public property must be protected by lighted barricades.Reflective type traffic cones are not acceptable. Final inspection is required for dumpsters placed on public property and may be scheduled by calling the Engineering Department at 853-7660.The location and permit number is needed to request a final inspection. An inspection of the top of foundation (T/F) must be scheduled a minimum of 24-hours in advance. The contractor must have an instrument on-site set up and ready for use by the Village Inspector to verify proposed T/F. An inspection of the graded area ready for sod placement must be scheduled a minimum of 24-hours in advance. The site must be properly graded and as-built drawings submitted prior to an inspection. All grading requirements must be approved before sod will be permitted to be placed. Placing sod without an inspection may result in removing the sod and properly grading site to meet the approved plan. Anyone working within an IDOT Right-of-Way must submit for approval from the IDOT Traffic Permit Engineer. Please click here to contact the permit engineer. To see if your street is under IDOT jurisdiction, please click here. Anyone working within a Cook County Highway Department Right-of-Way must submit for approval from the CCHD Traffic Permit Engineer. Please click here to contact the permit engineer. To see if your street is under CCHD jurisdiction, please click here. An inspection is required for water and sewer connections, disconnects, and backfill in the Public Right-of-Way. The permit holder is responsible for scheduling the inspection at least 24-hours in advance. Backfill material must be at the job site at the time of the plumbing inspection. When excavation for utility work is required within a roadway, CA-11 shall be used for pipe bedding and which must be placed and compacted to one foot above the new pipe. Material tickets from CLSM supplier must be submitted to the Engineering Department inspector on the day of placement and must include Mix description and location of delivery. Material tickets shall be part of the permit requirement for a street opening permit. Street deposits will not be returned if material tickets are not provided. Exception: Flowable fill (CLSM) shall not be permitted outside the public roadway. Approved backfill within the exception area shall be CA-11 and CA-6. CA-11 shall be used for the pipe bedding and must also be placed and compacted up to one foot above the new pipe. The remainder of the trench shall use properly compacted CA-6 granular material or such other material as may be required by the Engineer. Granular material shall conform to Illinois Department of Transportation’s (IDOT) Standard Specification coarse aggregate (CA) gradations. Chapter 16-1.2.2(a) Each person or entity receiving a Right-of-Way Permit under Chapter 16-1.1 of this Chapter that grants permission to excavate a public street in the village shall also, in addition to paying the applicable permit fee, pay to the Village of Wilmette a Pavement Degradation Fee prior to issuance of said permit. Chapter 16-1.2.2(b) – The amount of the pavement degradation fee shall be calculated as: (Impacted Street Area) X (Adjusted Pavement Degradation Fee Rate). The street opening dimensions shall be a minimum of three (3) foot by three (3) foot, square and parallel and perpendicular to the curb. The Impacted Street Area is the square footage of the street opening plus four (4) additional feet added to the length and width of the excavation. The pavement degradation fee is a separate non-refundable fee, in addition to the Right of Way deposit, to be paid at the time of permit issue. All street openings shall be full depth saw cut. All openings and patches shall be a minimum of three (3) foot by three (3) foot in size, square and parallel and perpendicular to the curb. Base, framing and final inspections are required. The permit holder is responsible for scheduling the inspection at least 24 hours in advance. Bituminous Concrete Street: The patch shall consist of ten (10) inches of Portland Cement Concrete (PCC) high early strength 7 bag mix AND two (2) inches of Bituminous Concrete Surface Course. If existing pavement base is concrete, use No. 6 coated tie bars, 18 inches long and drilled 9 inches in the base and spaced 24 inches apart. If pavement base is bituminous, the patch shall be over cut by one (1) foot on all sides. Portland Cement Concrete Street: The patch shall consist of ten (10) inches of Portland Cement Concrete (PCC) high early strength 7 bag mix, with No. 6 coated tie bars, 18 inches long and drilled 9 inches into existing base. These tie bars shall be spaced 24 inches apart. Brick Street: The patch shall consist of eight (8) inches of compacted course aggregate limestone (Grade 8) and two (2) inches of compacted sand underneath the brick. All concrete shall be saw cut to full depth before removing. Base, framing and final inspections are required for concrete work. The permit holder is responsible for scheduling the inspection at least 24 hours in advance. Concrete aprons within the R.O.W. shall be six (6) inches thick. There shall be no Welded Wire Fabric (WWF), Mesh or Rebar located within the R.O.W.Base material shall be four (4) inches thick and be compacted before concrete is poured. Expansion joints must be located between new and existing concrete. Asphalt aprons within the R.O.W. shall be four (4) inches thick compacted. Base material shall be six (6) inches thick and shall also be compacted. All sidewalks must extend through driveways and be six (6) inches thick. All other public sidewalk shall be five (5) inches thick. Base material shall be compacted before concrete is poured. Expansion joints must be located between all new and existing concrete. Curb cuts are required if depressed curb is to replace a regular curb.Shaving off the top of curb is not allowed. Existing curb shall be full depth saw cut before removing. An expansion joint must be located between all new and existing curb. Base material must be compacted before the concrete is poured. If the length of the new curb is more than 50 feet, a contraction joint shall be made every 25 feet. The gutter flag shall have a minimum depth of 9”. Two No. 6 coated tie bars, 18 inches long and drilled 9 inches in the existing curb and gutter shall be mortared into place before placement of new curb and gutter. Trees shall be protected as required by Chapter 9. Final inspection is required. The permit holder is responsible for scheduling the inspection at least 24 hours in advance. The parkway shall be restored within 10 working days of completion of the work. Backfill with clean excavated material or torpedo sand. Topsoil shall be four (4) inches thick minimum with new sod placed in disturbed areas. Owner shall be responsible for watering the new sod. The permit holder shall be solely responsible for any and all damage caused by or related to its activities in the Public Right-of-Way, including but not limited to, damage to or replacement of private sprinkler systems, custom materials (brick pavers, brick borders, asphalt stamping, etc.) or any other improvement located, installed, placed or planted in the Public Right-of-Way. Sprinkler heads must be at least one (1) foot away from all public sidewalks and curbs, and one (1) foot under the bottom of all public sidewalks. The Village of Wilmette shall not be responsible for damage to private sprinkler systems or any other improvements installed or planted in the public right-of-way. All sprinkler heads must be at least one (1) foot away from all public sidewalks and curbs, and one (1) foot under the bottom of all public sidewalks. Lawn sprinkling within the Village is prohibited between 10am and 4pm, Monday through Friday, during the period of May 15 through September 15th.Village ordinance 90-0-32. Traffic control plans shall follow MUTCD guidelines. Guidelines can be found online at mutcd.fhwa.dot.gov/pdfs/2003r1/Ch6A-E.pdf . The MUTCDis the Manual on Uniform Traffic Control Devices. The roadway shall be open to local traffic at all times. No openings in the roadway shall be left uncovered overnight. Openings located within an active lane of traffic require a steel road plate to open the roadway. Street crossings must be done one lane at a time or by directional boring. Lighted barricades must protect all sidewalk openings until they can be returned to service. Reflective type traffic cones are not acceptable. Permit holder shall be solely responsible for all damage, loss, or claims arising out of its activities in the public right-of-way; and shall indemnify and hold the village harmless against same. Deposits shall be refunded only after final inspection by the Village has been made. damage to the public Right-of-Way has not been satisfactorily repaired.